i know there is a few others coming out soon, can't think of any right off the top of my head, anyone else have a game there are excited about coming out soon?? There's a bullet for everyone.. And a time.. And a place..
i haven't heard anything about the next deus ex. . . This fall? Well there isn't much apart from Assassin's Creed and COD/Battlefield if you're in to that. First assassin's creed was a bit boring, next titles was better. I'm looking forward Assassin's Creed Unity as well. The amount of my gaming has decreased drastically in the recent years. Some say it's because I'm getting older but I don't buy that , I say games have become more generic and worse. There were only a few games in the PS3-generation I really enjoyed. And since I can't afford a new PC/PS4 in a while I'm not really waiting for any upcoming games. 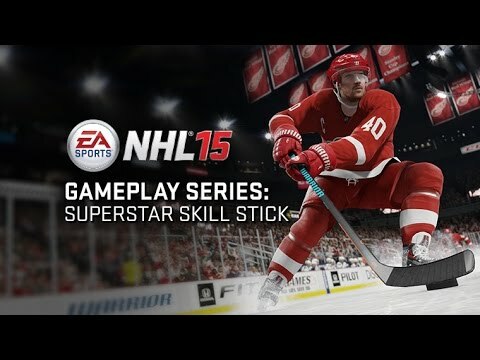 If I had a PS4, I'd get NHL 15. That series has managed to hook me. Other than that, not waiting for anything. I'll try to get a new PC or PS4 (preferrably PC) when Hitman 6 comes out. No love for Xbox ? PC is the way to go for Hitman games. It's much less clunky then a controller. Don't you have to sit up at your desk on the PC. The thing about the controller is no matter the setup you can play and relax from your couch, as opposed to being jerked up in a computer chair. The mouse has the advantage of better aiming (which can be a negative or a positive, depending on a few factors), but I would much rather play Hitman from the laxed comfort of my couch than from the hoisted position of the computer desk. Computer gaming, for me, is hard on my back but that could be because I don't have a good chair. That's also why I don't have a desktop (for gaming). I do most of my PC gaming on a capable laptop. That being said, I mostly play AAA games on my console and leave the older less popular/demanding games for my laptop. Some games just scream to be played on PC though. I think Hitman is one of those games. I hated Blood Money controls on the controller and found much less fluid than a KB+M. Absolution was actually pretty nice with a controller but I don't know how IO will use the controller with all the extra features we want (sniper cases, close doors, etc.). I liked the list of options of what action to take that was in the original games. This is where Metal Gear Solid is King. Every single button is juiced to it's full potential. Every button has a number of actions, depending on how it's pressed, or how long, or how often. I agree that PC gaming is the ultimate platform for graphics, especially if you have a little money to spend for a nice display and a surround sound system. As for controller vs KB+M, both have their pros and cons. But I just can't imagine having a long session in a computer chair. If I ever buy a gaming rig I'm afraid I'll be using the XBOX controller, unless I can use the KB+M from my couch. I think he means he prefers KB+M over Xbox controller, not that he prefers Xbox controller over DualShock. I think you are right. Rereading it, it makes more sense that way. I'd have to disagree with that one. I play lots of multiplayer and I like the XBL community more than the PSN community. PS has, overall, better exclusives in the previous generation. I do most of my gaming on Xbox/PC but I always make sure to buy the PS for the exclusives. I guess it also matters where you are from. Xbox traditionally more of a US/UK console while PS is the rest of the world. I've added 'off topic' to the start of this thread. Maybe we could convert it into an off-topic thread that covers anything non-Hitman related? Any suggestions for a title if we do that? wow sooo... ive just gotten around to playing assassins creed IV... awesome! i see a lot of qualities that we are looking for as hitman fans in this game! its has a big interactive environment, multiple game modes, the "instinct" mode is really just a tagger (a very nice compromise), collectables, weapon upgrades, somewhat challenging hand to hand combat, interaction, and mini games! You mean an open world Hitman. We already have a thread for that. Everyone thought it was a stupid idea. Mini games are suitable for the open-world genre because te players usually find themselves with nothing to do when they beat the game. Hitman is in its own category; the missions are focused and have a structure not present in open world games. Anyway, I wouldn't think mini games would fit in a Hitman game. You can think of the rating system as a mini game; get Silent Assassin and you win!! Just picture 47 racing around in Go Karts for XP.